Pat Williams joined the Family Department in Belmont in January 1982. Pat has carried out a variety of family work throughout her career with Wace Morgan but latterly has specialised in Financial ancillary work, domestic violence and has a major role as the Franchise Representative in respect of the Firm’s legal aid contract with the Legal Aid Agency. Pat has ensured contracts have been successfully awarded to Wace Morgan since Legal aid contracts were first awarded 10 years ago. Wace Morgan being one of the first to be awarded a legal aid family contract in the County. 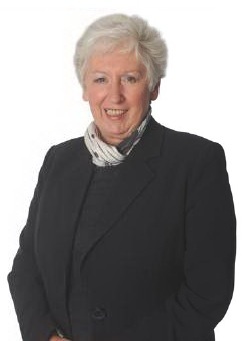 Pat obtained her Family Law qualifications with the Chartered Institute of Legal Executives in 1988 . Pat continues to be a member of CILEx and has throughout her career regularly attended updating family courses ensuring her skills and resources are continually kept up to date. All of Pat’s long legal career and family law experience has been undertaken with Wace Morgan Family Department with whom she is proud to be associated. Pat’s personal outside interests are bridge with Pat being a former Treasurer of Border Bridge Club, gardening and enjoying time with her two lovely grandchildren.